ZooBorns - Make Your Day! I found this awesome website a week or so ago and have been following it ever since. It's great for lifting your spirits if you're down. 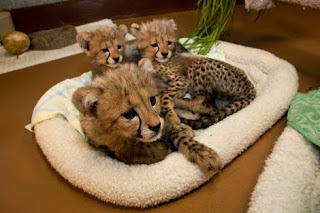 It's called ZooBorns, and is a blog that shares photos of new baby animals from zoos and aquariums all over the world. Check it out here! Real Salt Lake - MLS Cup Champions! Google Voice - Love It!